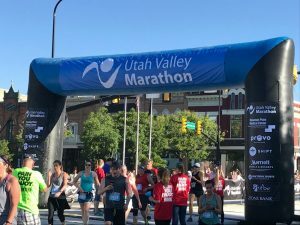 Race recap: 2018 Utah Valley 10k | So what? Now what? 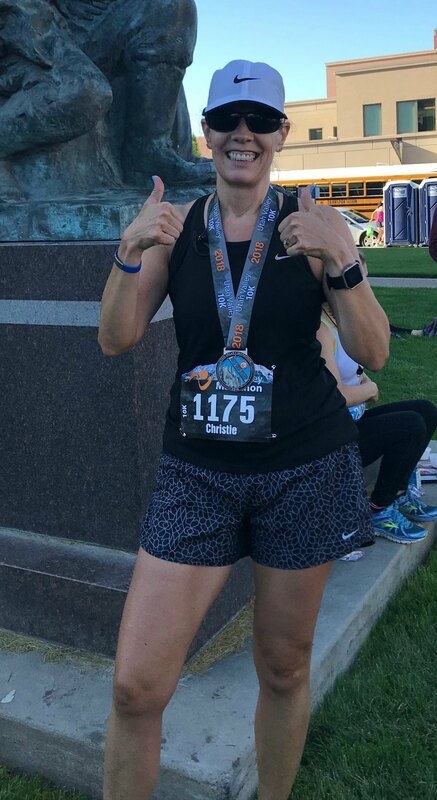 Another race in the books! 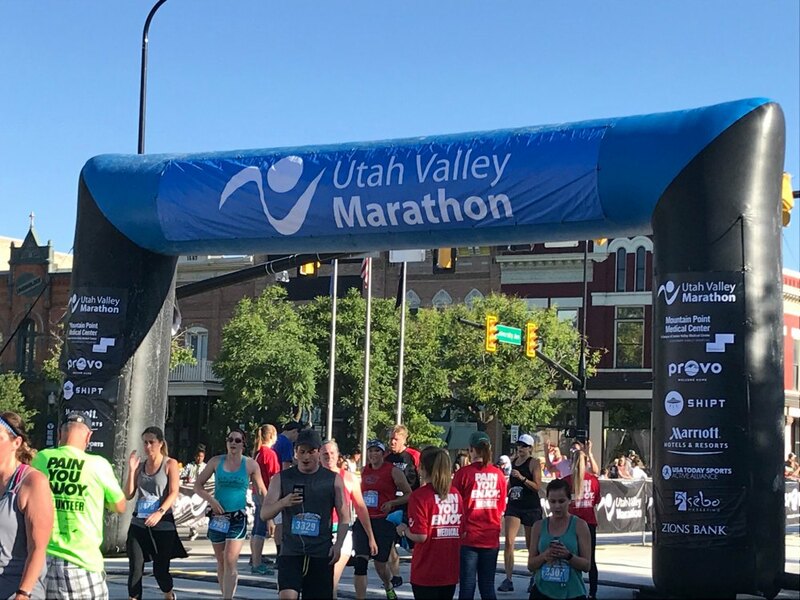 This year I chose to repeat the Utah Valley 10k. It is a well-run race on a gentle downhill slope with beautiful finisher medals—just my style. However, unlike previous years, I was not training, or planning to run, with anyone else. I missed having a fellow racer to check in with during training and to cheer each other on. However, my dear husband was a trooper, as always, going along with me as my own personal support team and cheerleader. 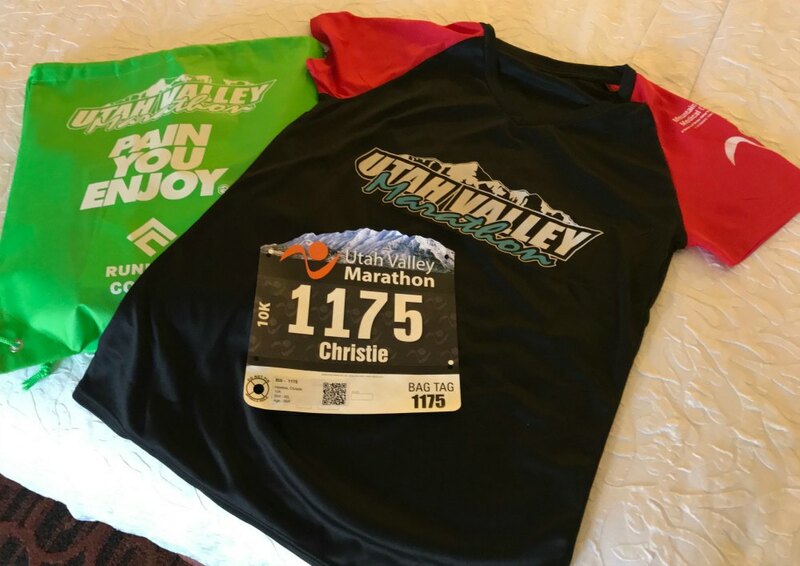 Another difference this year: I typically take at least a half day off work the day before the race, so we can travel to the location, pick up packets, eat out (pasta of course), and get back to the hotel in time to put our feet up and eagerly anticipate race day. This year, since Larry was going with me and our dog requires heart medicine in the evening, and since the race city is less than an hour away from our home, we decided to eat at home, give the dog his nightly medicine, and then head out. 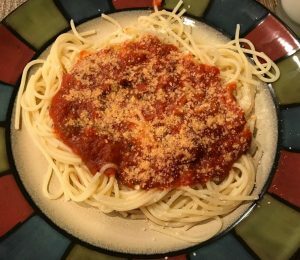 The menu was much the same, since I fixed spaghetti, but it felt a little sad, like it was somehow less of a celebration. Next we checked into the Hampton Inn—same hotel as last year. It’s a small hotel, nothing fancy, but clean and very friendly. 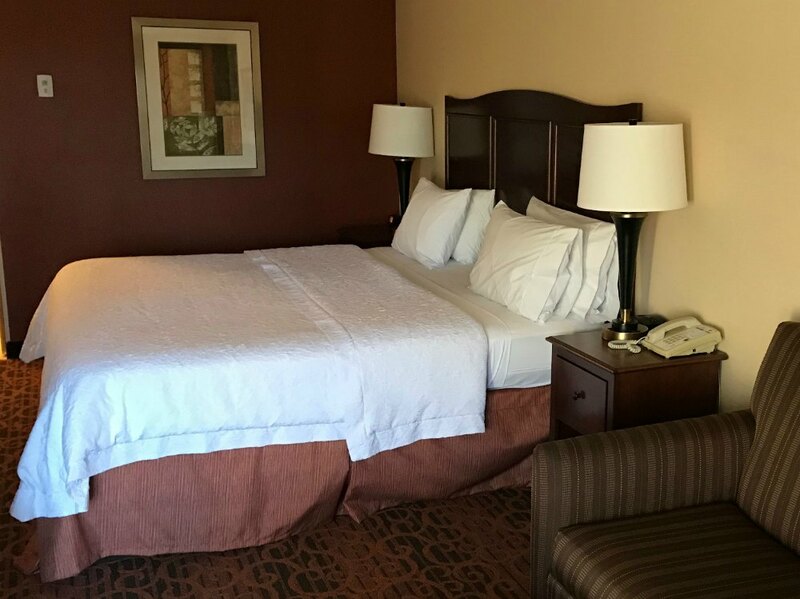 All the basics are covered—comfortable beds, a television, a coffee pot, free WiFi, and a complimentary breakfast. Oh and warm cookies at check-in! It was lights out for me by 9:30 p.m. Larry couldn’t sleep that early, so after 30 minutes of television watching in the room, he thoughtfully wandered down to the lobby for a late-night snack and to watch TV down there, just to be sure he wasn’t keeping me up. Of course, I wasn’t sleeping much. I never do the night before a race. I wasn’t feeling nervous, so it must be the adrenaline. Anyway, I’ve learned to make sure I get a good night’s sleep two nights before race day in anticipation of a lack of sleep the night before. In any case, I was already awake when the alarm went off at 5:00 a.m. and was happy to get up and get going. 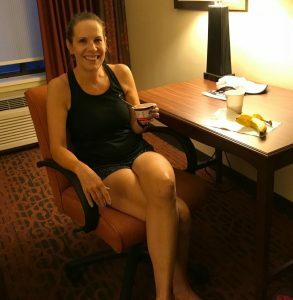 I had my usual greek yogurt, banana, and coffee as a pre-race meal. The bus pick-up point was close to the hotel, and Larry dropped me off just in time to climb on the bus. Like everything else about this race, the bussing system was great, and we arrived at the starting point in plenty of time to get through the porta-potty line and warm up, but not so early that I got restless (or nervous) waiting for the start. I love that this race always starts right on time. At 7 a.m. sharp, the whistle blew, and we were off. The first little portion was slightly uphill, but less than a mile in, we turned the corner for a brief steep downhill, and from there, it was five miles of gentle downhill. My kind of running. In fact, I usually walk about 1/10 of every mile, but I was feeling good enough that I ran for the first three miles before taking a walk break. After that, I walked briefly at each aid station. I prefer drinking water during a race (no sports drinks for me). 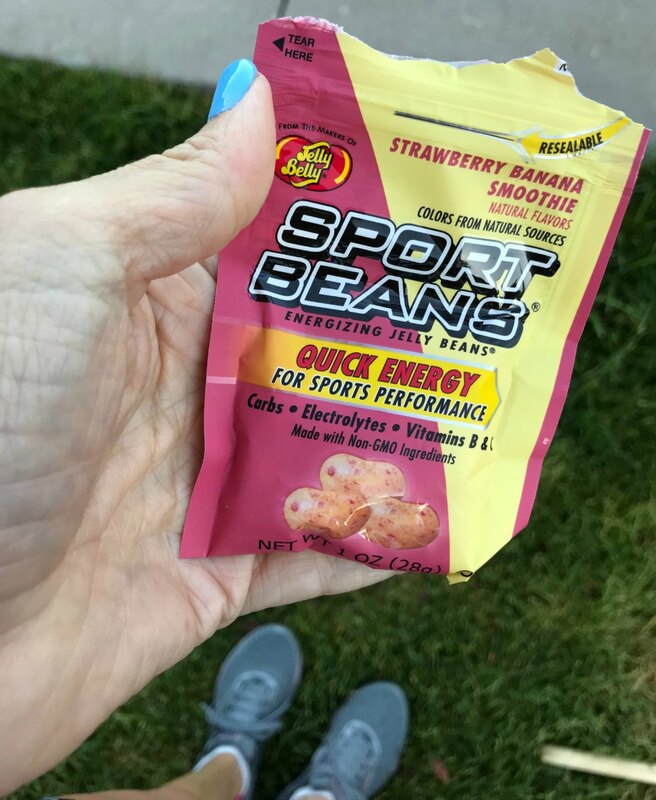 I did eat a few sports beans just before the race and half way through. Mile four was the toughest, but I got my second wind and felt pretty good again for miles five and six. No muscle cramps, no side aches, and no mental fatigue like I have sometimes experienced. The weather, by the way, was perfect. We started at about 60 degrees Fahrenheit and finished up in the mid-60s. It was sunny and dry with a slight breeze. The finish line came up almost before I knew it, and I heard the beautiful sound of my name being announced over the loudspeaker and then Larry’s voice calling congratulations. As far as results, my stated goal was to run under 12-minute miles, but I really wanted to at least match last year’s time (10’39”.) Mission accomplished. 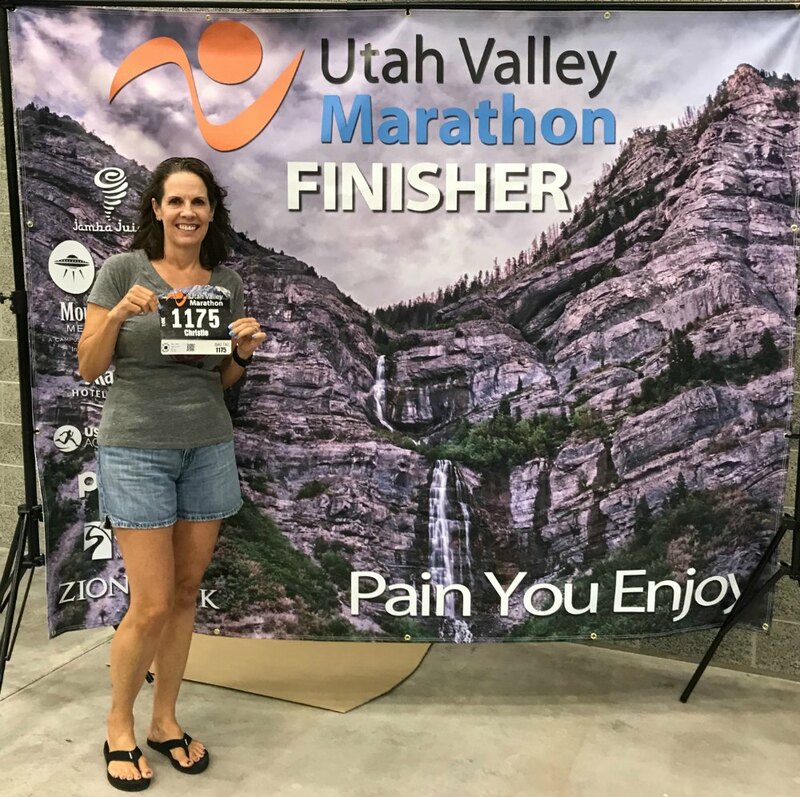 My average pace was 10’38.” I was comfortably in the middle overall and in the top half of finishers for my gender. I was fourth of 15 in my age group. If I had shaved 23 seconds off my time, I would have received an age group award! Still I am pleased with my time and the joyful experience I had on race day. Time to start planning for next year! What’s something challenging you’ve accomplished recently? What do you do to motivate yourself when the going gets tough? 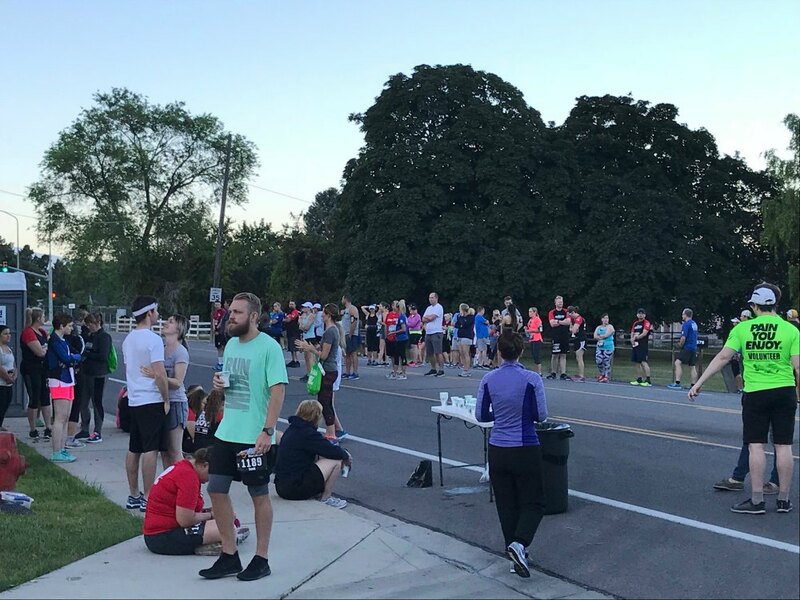 If you’re a runner, what is your favorite race so far? Congrats sis! I’m proud of you! I’m afraid to put this in print (knock on wood) but I haven’t had any big challenges lately. The hardest things I’ve done are round up grandkids and mow the lawn! When things get tough I motivate myself with self talk-reminding myself this is temporary and will get better. Thanks sister! Rounding up grandkids is a fun challenge to have, but it does require remarkable stamina! Good luck with your race Sue. 34km is a serious distance. I’ve run one marathon, then cut back to a half, and now 10k is my favorite distance; though I may do a half again one day. I’m not sure I will ever run a marathon again, but never say never! Congrats, Christie, well done! 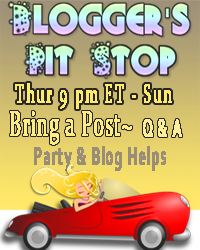 I saw your blog email pop up earlier today and then saw your post in #MLSTL! I can appreciate your pre-race and race day thinking and prep! My knee won’t allow me much running these days, but I paddled in a stand-up paddle race last summer, and took second in a small field of women, but it was challenging when the wind came up. The level of satisfaction we get from these competitions is worth it all! You are an inspiration to women everywhere! Thank you Terri. I’m not sure I have the balance needed to stand-up paddle. I’m impressed. I do love the feeling of setting a goal and then working hard to achieve it. Excellent! You have much to be proud of. 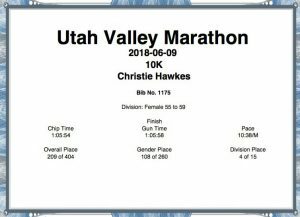 Congratulations Christie – awesome achievement! I’m not a runner, but I used to do a lot of showjumping years ago so I can relate to the feelings of before and after. 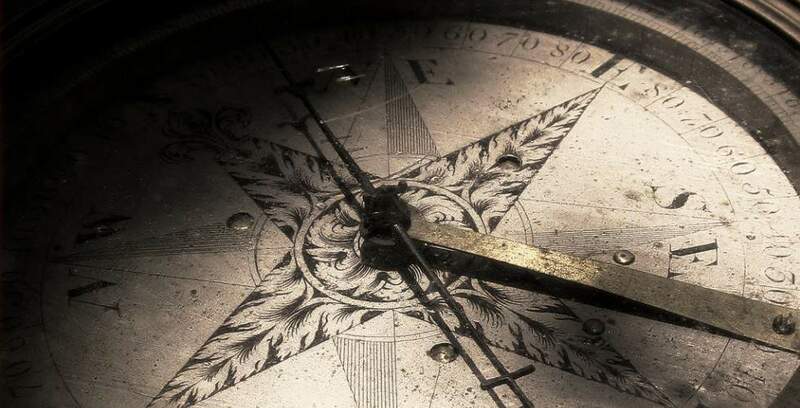 To motivate myself to do hard things these days I tend to become very quiet, and dig deep for my inner resources, try not to over think things and then get on with it! Thanks Jo. I can relate to your method of motivation. I sometimes use inspiring music or mantras, but most of the work comes from deep within, and just putting one foot in front of the other. Thanks Patrick. New jobs are definitely challenging. Good luck! Thank you Leanne. Running is definitely not for everyone. It’s good to find something that stretches you, but that you also get some enjoyment out of. I do yoga for much the same reason you are trying Tai Chi–flexibility, coordination, and Zen. Thanks again for the #MLSTL party. Congratulations Christie! I admire your hard work and accomplishments. You are an inspiration! I think it is awesome that you enjoy running. I ran 6 miles a day years ago and I never liked one step of it. lol I ran with a group of ladies from the gym I belonged to and we had a 3-mile route that we ran twice. Good for you. I admire you for running six miles a day. One six-mile race was enough for me for the year. Now I’ll cut back to 3ish. Congratulations and well done Christie. 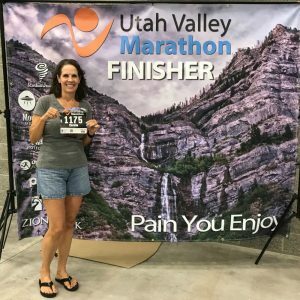 I loved reading your race report and can identify with not sleeping on the night before an event. I’m not doing running events any more but concentrating on long distance walking events. To dig deep, I try to remember why I decided do whatever it is and also remind myself that I have done the training so can do it. Those are great motivators, Jennifer. When you’ve done the work to prepare, then you just have to trust that it was enough. Congrats Christie! 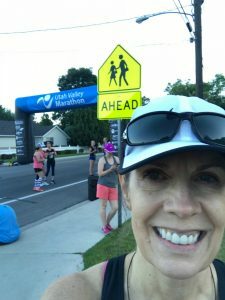 I’m not a runner, but have many IRL friends who are/were…so I’ve heard about the feeling of accomplishment when you hit personal goals for races. Good for you for continuing even without training running buddy. I’m feeling like a slacker since the last 2 days I wimped out on my SUP… not standing because of the water chop. I’m starting to call it a Knee-on Paddle Board, not a stand-up Paddle Board. I need to face the challenge and stand up!! Thanks Pat. I’m impressed that you do the paddle board at all (kneeling or standing). My balance is not great. I am going to work on that now, so that I don’t have problems standing/walking when I get older. Congratulations on accomplishments. I use music, and speaking positive affirmations to get motivated. Me too, Sylvia. My favorite inspirational song right now is Fight Song by Rachel Patten. 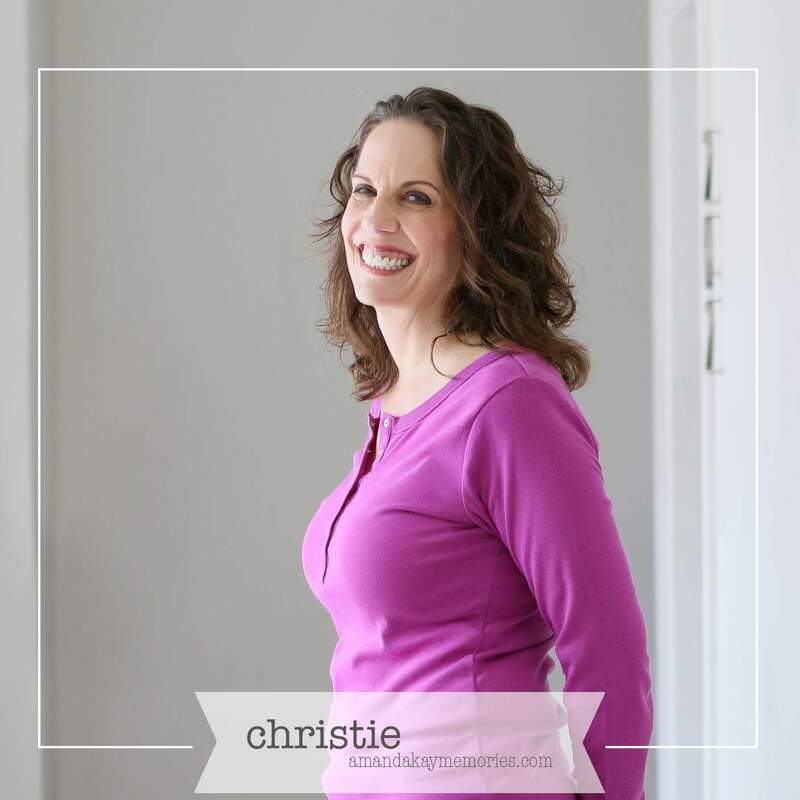 Congratulations, Christie! You have much to be proud of. I can relate to your running prep, the day before and the day of. I’ve done 5K races for several years now. I hope to complete one this Fall. Thanks Natalie and good luck with your next 5k! Christie, that was such an interesting read, you conveyed the ‘feel’ well. A wonderful achievement. So nice to have your husband support you, that adds a lot of motivation. Thanks Dee! Happy first day of summer! So PROUD of you! Wish I could find an 8K to train for. Maybe this fall! You are an inspiration. Thank you Leslie. Around here, everything is 5k or 10k. I haven’t seen an 8k. I hope you can find one. It’s more fun–at least for me–when there is a formal race with music, food, and finisher medals!